Mount Washington Avalanche Center forecast map for April 13, 2019. At 6,288 feet, Mount Washington is the Northeast's highest peak and is notorious for its bad weather. 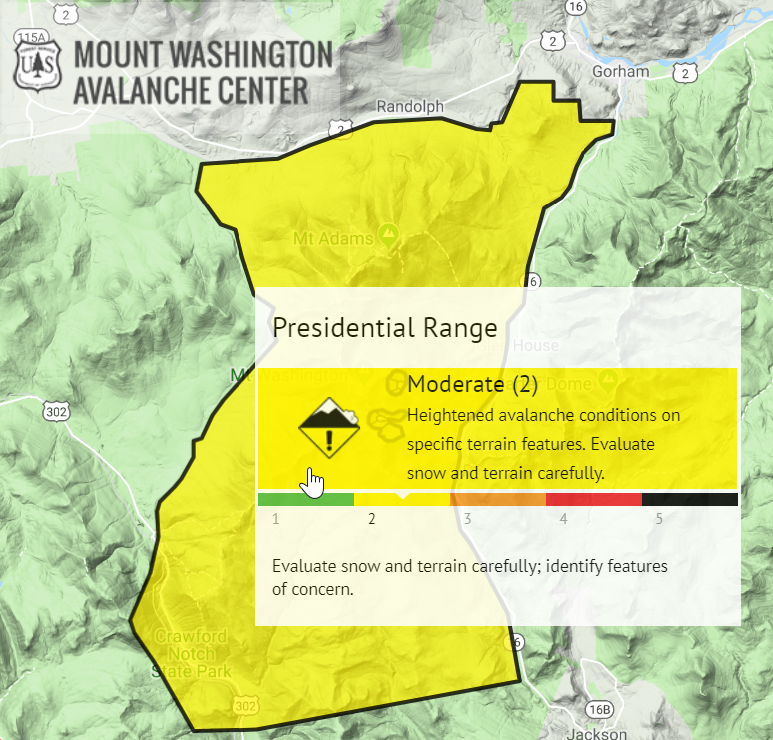 The Mount Washington Avalanche Center reports moderate avalanche danger Saturday - with heightened avalanche conditions on certain terrain on the presidential range.